This year we try to keep holidays for as long as possible. In Dublin you can feel it’s autumn, although the weather is still pretty awesome. But in Spain it’s even better. I started to show you what it was like to travel to Spain with a baby (not our baby) and how it is to live in a cave, but I hope to talk about few more places soon. I haven’t cooked too much this month. But for baking it has been terrible time. I’ve made two attempts to brioche and failed twice (but I made it before!) and when finally I have decide to go for something simpler (or so I have thought) I failed even more – the pan was too small so the cake looked like it exploded, the sides actually finally baked, but in the middle there was an oily bit that reminded me my first baking at school when I was 10. I don’t remember when I failed that bad. You know I always complain about fruit prices in Ireland, but if you really want to get a huge amount of fruits for free, you can. I’ve been meaning to go for elderflower picking for a long time, but I’ve never got myself into it, but finally on Saturday we went blackberry picking. My hands and legs are all scratched, I was stung by nettles, but we got almost four kilos of blackberries! So I’m just making jam! I don’t like bucket lists, probably because I put too many things there and I would never be able to check even the small chunk of it. But this list – 35 Food Markets Around The World is really good. Markets are my favourite places to visit. 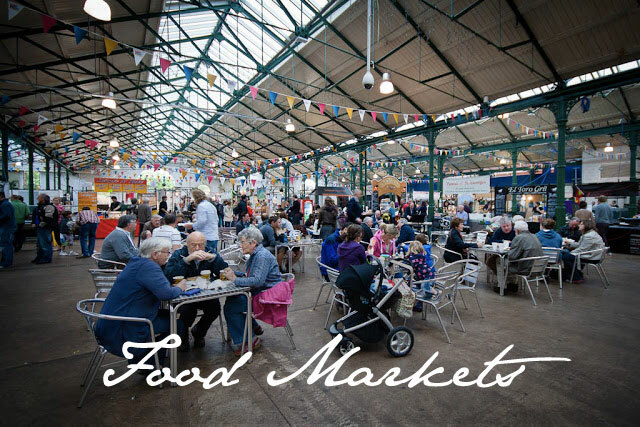 From their list I’ve only been to Borough Market in London, but there some other markets worth visiting Cork, Belfast, Dublin or Rome. We have a small Markey in Limerick Magda – its quite famous. Its called The Milk Market! Come visit me! Amielia, we were there (our car is from Limerick ;)) I loved the Milk Market, it’s one of my favorites in Ireland, but it was before Christmas, so it was packed and I haven’t got my camera with me, therefore no photos on the blog. But we did have great breakfast there.